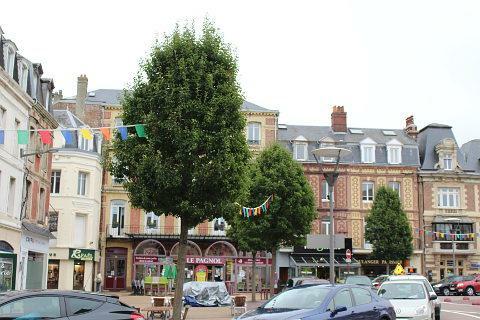 Fecamp is a coastal town in the Seine-Maritime department of Upper Normandy. The town developed around fishing and herring fishing in particular has been carried out here since the Middle Ages. 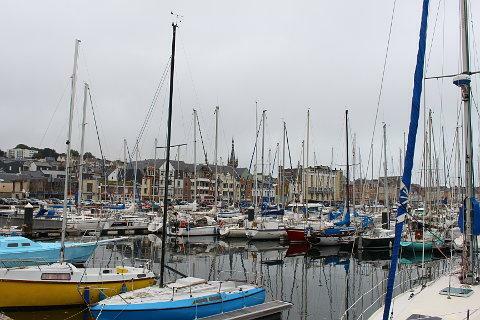 Fishing continues to be an important activity for Fécamp into the 21st century, and this is part of the attraction of the town, which is not give over to tourism like many towns along the coast - although tourism now plays an increasingly important role in the local economy. 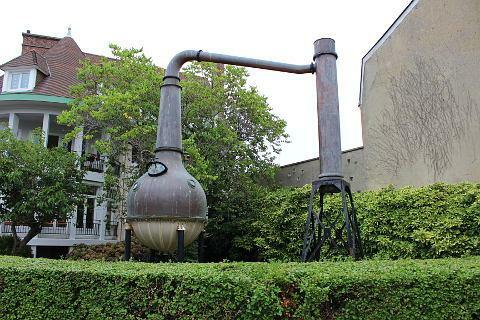 Another important claim to fame of the town is the local Benedictine liqueur - still brewed in Fécamp, you should find an opportunity to visit the distillery (see museums below) and sample it if possible. 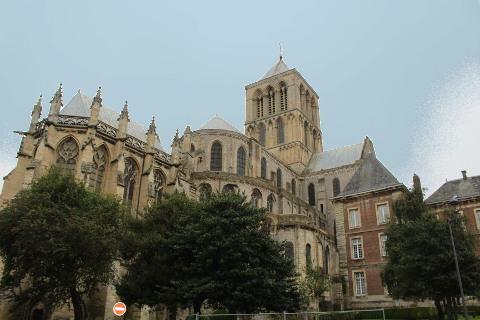 There are several important historic monuments in Fécamp including the Abbatiale Church of Saint-Trinity, the Church of Saint-Etienne and the ruins of the Palace of the Dukes of Normandy. 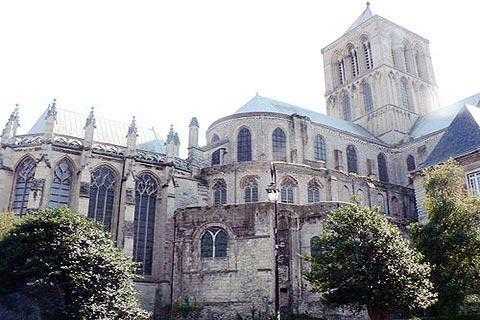 Start your visit at the Saint-Trinity Abbatial church, the most important historical monument in Fecamp. This church dates in part from the 12th century (during which century the original construction was severely damaged by fire, to be reconstructed after 1168). 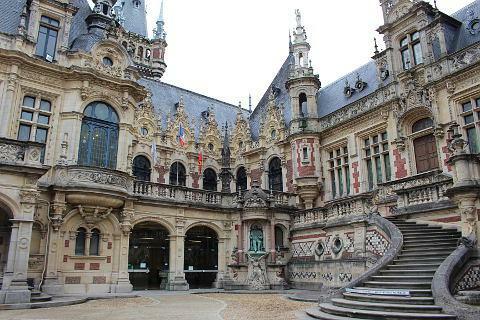 The building is in the gothic style and clearly distinguished by its attractive 14th century lantern tower. Inside the abbey church you can see the tombs of several abbots and a renaissance style cloisters. The interior was much embellished during the renaissance period (16th century) and contains some very attractive paintings and decorative elements around the altar area. In the transepts (side arms) of the abbey you can see further important works of art and a 17th century astronomical clock. 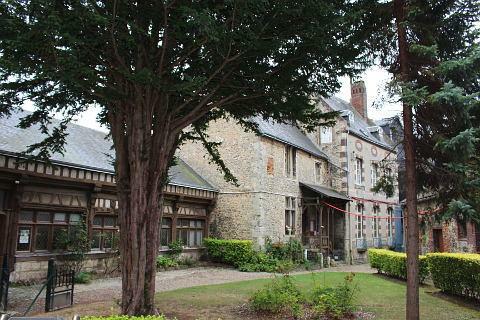 The area around the abbey is one of the prettiest parts of the town with its small brick and flint houses. 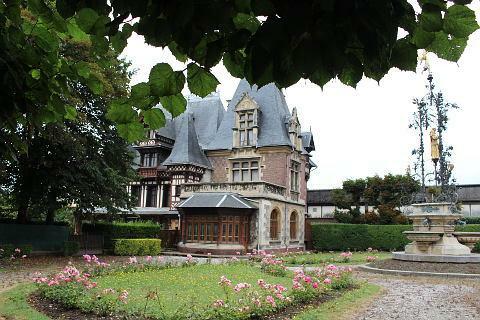 Take a look too at the Tour de Maitrise which is an attractive manor house tucked away behind the abbey. 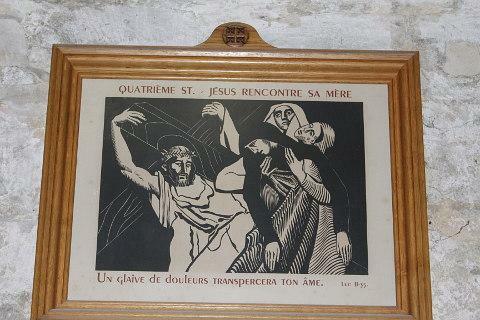 In the main part of town the Church of Saint-Etienne is a bit dark and gloomy inside but it does have some very good stylised "stations of the cross" paintings. 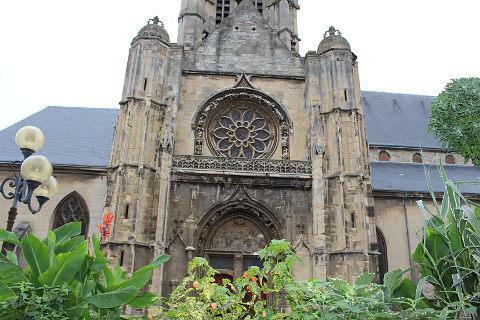 The church was built in the 16th century and modified in the 19th century. The church is most noted for the elaborate carvings around the main entrance. 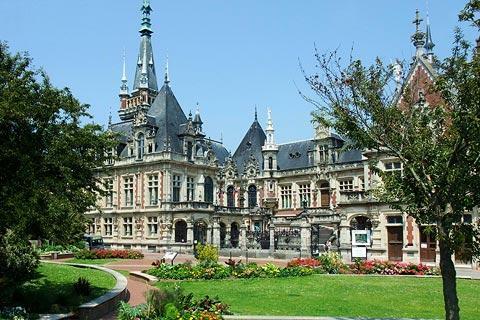 Also within Fecamp, keep an eye out for the townhouses built around the end of the 19th century, such as the art-nouveau style Villa Emilie and typical of those found along this part of the Normandy coast. Fécamp castle was built in the 10th-12th centuries and is now in ruins but there are sufficient walls to make a visit interesting and to give at least an idea of how the original castle might have looked. The promenade around the port and along the seafront is also a pleasant way to pass the time. You can walk slightly out of the town to Cap Fagnet and the Chapel Notre-Dame-du-Salut, dedicated to sailors who have lost their lives at sea and also with a lovely view across Fecamp. Alternatively (as the walk is fairly steep) you can drive here. - The Museum of the Benedictine Palace is a museum dedicated to Benedictine liqueur and has an eclectic collection of other objects, and is set in a very ornate palace which was built in the 19th century, using a wide range of architectural styles (mostly neo-gothic and neo-renaissance) using stone and brick, and has an especially ornate roof more reminiscent of a Loire chateau. 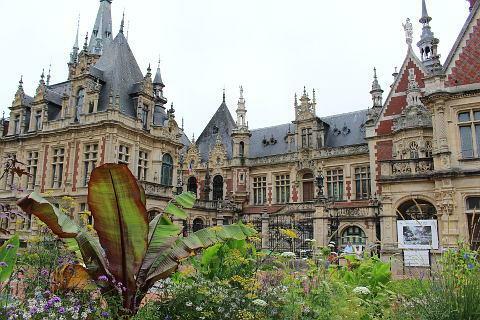 Although the palace is little more than 100 years ago and a mix of several architectural styles it is a charming building and well worth a look even if you are not going inside the museum. 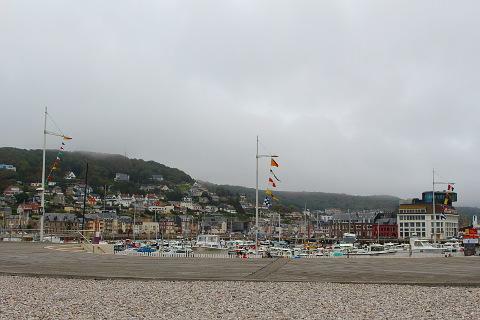 - The Museum of Fishing and Newfoundland looks at the long tradition of fishing based from the port in Fecamp, from viking times to the present. 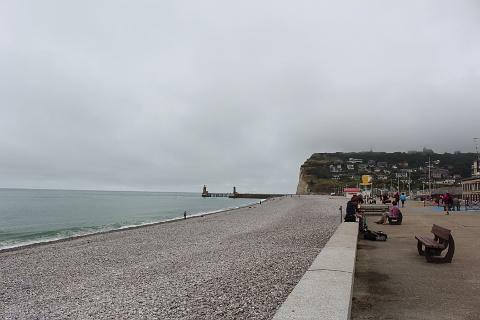 Fecamp is well placed for exploring the dramatic cliffs and rock formations of the cote d'alabatre (the alabaster coast): see Etretat for information.